show or movie or advertisement, for that matter. Rest in Peace, Sarah. 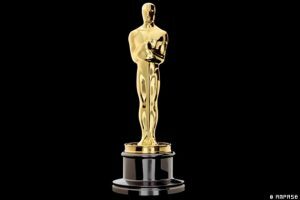 Something strange might happen at the Oscars this Sunday night. At some point during the evening, as the Hollywood glitterati are giddy on the excitement of the awards a sober moment will come. That is when the Academy will remind everyone of those who are no longer part of the cast, the famous actors who have died in the past year. The Screen Academy have tried for years to stop the audience from applauding after each actors face appears because some get louder appreciation than others and it was turning into a kind of popularity contest. So now they have a big name singer who performs as the visual litany takes its course up on the big screen – with a huge round of applause at the end. The sober moment is short lived, there’s a lot to gallop through during the evening.